Proteins and microRNAs (miRNAs) within the axon locally regulate axonal development. However, protein profiles of distal axons of cortical neurons have not been fully investigated. In particular, networks of genes encoding axonal proteins and their related miRNAs in sub compartments of neurons such as axons remain unknown. Using embryonic cortical neurons cultured in a microfluidic device and proteomic approaches, we found that distal axons contain 883 proteins. Bioinformatics analysis revealed that 94 out of these 883 proteins are related to regulating axonal growth. Of the 94 genes encoding these proteins, there were 56 candidate genes that can be putatively targeted by axon-enriched 62 miRNAs with 8mer sites that exactly match these target genes. Among them, we validated 11 proteins and 11 miRNAs, by means of western blot and RT-PCR, respectively. 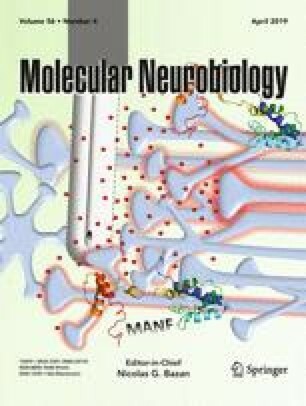 Treatment of distal axons with chondroitin sulfate proteoglycans (CSPGs) that inhibit axonal growth elevated miR-133b, -203a, -29a, and -92a, which were associated with reduced protein level of AKT, MTOR, PI3K, DPYSL2, MAP1B, and PPP2CA. In contrast, reduction of miR-128, -15b, -195, -26b, -34b, -376b, and -381 by CSPGs was accompanied by increased EZR, KIF5A, DCX, GSK3B, and ROCK2 proteins. In silico pathway analysis revealed an interconnected network of these miRNAs and protein coding genes that is highly related to regulating axonal growth. Our data provide new insights into networks of miRNAs and their related proteins in distal axons in mediating axonal growth. Axonal proteins locally regulate axonal development. However, the protein profile in the distal axon has not been investigated. Using proteomic and quantitative RT-PCR approaches in combination with bioinformatics analysis, the present study identified a network of miRNAs and their target proteins in distal axons, which mediate axonal growth. This finding provides molecular basis for further investigating the roles of proteins and miRNAs within the distal axon in mediating axonal function. The online version of this article ( https://doi.org/10.1007/s12035-018-1266-7) contains supplementary material, which is available to authorized users. Conceived and designed the experiments: C.L. and Z.Z. Performed the experiments: C.L., Y.Z., M.G., H.T., and B.F. Analyzed the data: C.L., A.L., and Z.Z. Prepared all the figures: C.L., Y.Z., and Z.Z. Wrote the manuscript: C.L., A.L., M.C., and Z.Z. This work was supported by the National Institutes of Health (RO1 NS088656 and RO1 NS75156) and American Heart Association (16SDG29860003). The study was carried out in accordance with the NIH Guide for the Care and Use of Laboratory. Animals were approved by the Institutional Animal Care and Use Committee of Henry Ford Hospital.